DSA Editor, Christian Rice had a chance to catch up with the Doug Farndale, Vice President, APAC, Silver Peak to pose a few questions about the partnership with Netpoleon. DataStorageAsean: How do you see the relationship developing over the coming years? Doug: As awareness and the uptake of SD WAN continue to accelerate throughout the region, we see this partnership as an enabler that will allow enterprises and service providers to tap into Silver Peak’s SD WAN offerings to flexibly and securely connect users to applications via the most cost-effective WAN connectivity available. DataStorageAsean: How can you offer vendors and clients alike a 90% drop in costs on network infrastructure? Doug: Silver Peak SD WAN & WAN Optimisation offerings enable enterprises to leverage low cost public Internet to replace or augment their MPLS in a safe and non-disruptive manner, with any form of connectivity (such as broadband, DSL, Satellite, LTE). Enterprises are also provided with application level visibility and control of their network without the need to invest in extra hardware — this will help them to save costs in terms of administrative work and capital expenditure. DataStorageAsean: How can Malaysia expect to benefit from this partnership? Doug: Malaysia is one of our key focus markets in the region. Through our partnership with Netpoleon, any enterprise can now leverage Silver peak SD WAN offerings to enjoy increased network performance, flexibility, visibility, control and cost reductions of up to 90 percent. Other Silver Peak offerings can also boost the transfer of data over distances to enhance the quality of connections between the enterprise HQ and their branch offices. SINGAPORE, Feb. 15, 2016 — Silver Peak, the leader in building broadband and hybrid Wide Area Networks (WANs), today announced an ASEAN distribution partnership with Netpoleon to help address ASEAN’s rapidly growing demand for Software-Defined Wide Area Network (SD-WAN) services. 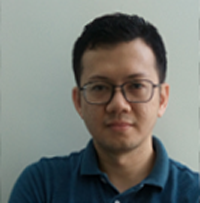 Through the partnership, companies in Singapore, Malaysia, Thailand, Indonesia, Philippines, Vietnam, and Myanmar, will now have direct access to Silver Peak’s Unity EdgeConnect SD-WAN solution. SD-WAN has moved quickly from initial concept to production deployments in the last year and is quickly garnering a strong fanbase. Gartner predicts that by the end of 2019, 30 percent of enterprises will use SD-WAN products in all their branches, up from less than 1 percent today. This year, more companies are expected to invest in and leverage SD-WAN technology, by either adding broadband Internet as part of a hybrid MPLS-Internet WAN, or replacing MPLS with dual broadband connections to branch offices. Gartner anticipates total end-user spending on SD-WAN solutions to be in the range of $25 million to $50 million in 2016, and that it will double in 2017. With Unity EdgeConnect, Silver Peak is providing partners and their customers with a solution to rapidly and non-disruptively augment or replace MPLS networks with any form of broadband connectivity. EdgeConnect provides unprecedented levels of visibility into both legacy and cloud applications, and gives IT organizations the unique ability to centrally assign business intent policies to secure and control all WAN traffic. The product significantly improves end-user satisfaction with consistent and significantly enhanced application performance. By filling this market gap, Unity EdgeConnect enables partners to dramatically lower their customers’ connectivity, equipment and network administration costs by up to 90 percent. Silver Peak recently announced the launch of the company’s new Global Partner Program specifically designed to attract, educate and enable valued channel partners to capitalize on the burgeoning SD-WAN market opportunity.